Watch Dogs has arrived and to great fanfare. This has been one of the most anticipated games of the current (previously next) gen of consoles but to look at the release through such expectant glasses would certainly be a disservice. 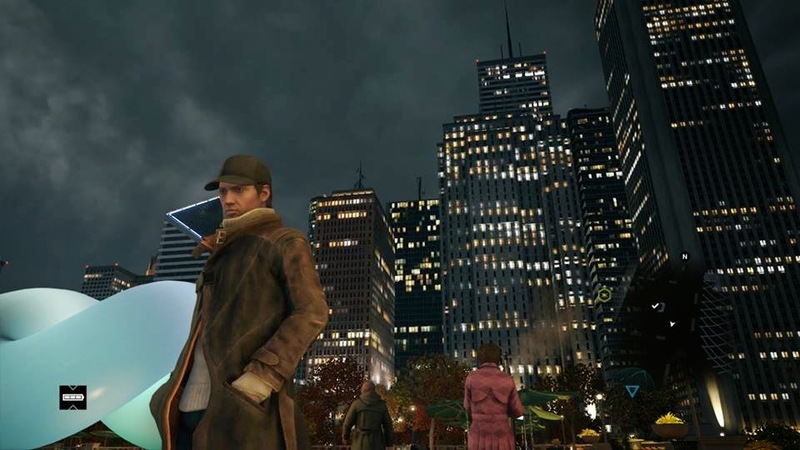 You follow the exploits of Aiden Pearce, a super-duper hacker type guy, who seems to be the embodiment of the current anti-NSA movement and, in short, you use Pearce’s abilities as a hacker to avenge his loved ones who were killed by bad guys. It’s a revenge story, with smartphones. Along the way you’ll amass a whole swag of skills, weapons, vehicles and sidekicks to help you out. 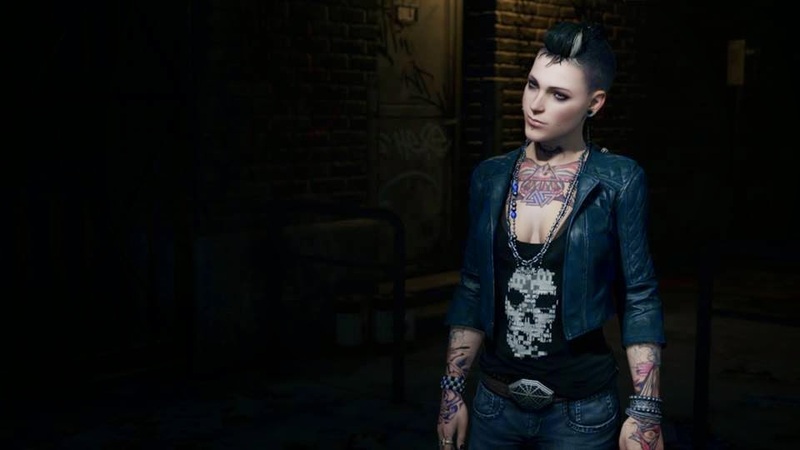 While not quite as pretty as the original build that was introduced at E3 in 2012, Watch Dogs does manage to deliver the goods with some good looking lighting and textures on PS4. The game looks best when all of the natural elements are against you with a dry bright midday looking washed out compared to a rainy midnight. The darkness also assists in making the AR profiler pop-ups stand out much more than usual. Character, vehicle and environmental renderings are all fantastic with a nice variety of chariots waiting to ferry you around the Windy City. 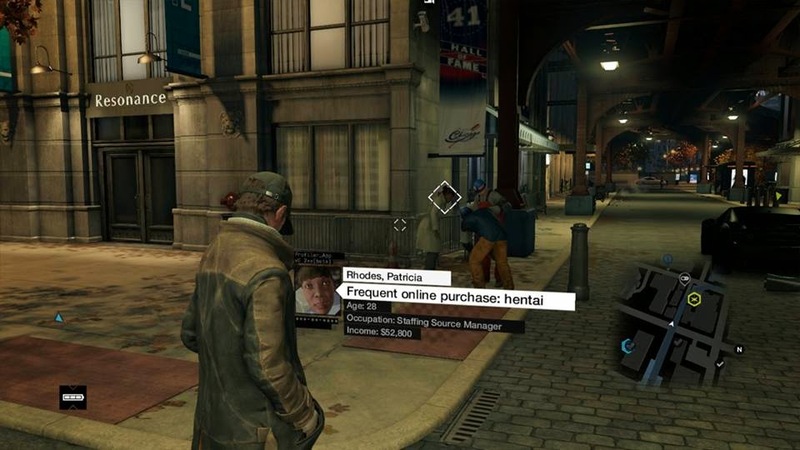 If there's one thing to be said about Watch Dogs, it's that it certainly gives you value for money. You’re looking at approximately 40 hours to complete the main storyline with the occasional side mission thrown in, or an estimated 100-120 hours for full completion. Side missions, while not a necessity, do assist in amassing XP, and in turn, skill points which will help you immensely in the main story. If unlocking skill points and abilities isn’t reward enough, by completing side missions you also unlock further skills and also cool vehicles, and weapons. These unlockables are not only a cool addition for completionists but also consist of top quality vehicles and incredibly powerful weapons. Clara or Eve Beauregard? You be the judge! The vehicle physics aren’t quite as polished as you may see in the GTA franchise, which is unfortunate since the majority of your time will be spent driving from point A to B. While the physics and handling of these vehicles isn’t particularly good, it’s not all that bad either, just passable. On a side note, don’t bother wasting too much of your hard earned/hacked money on vehicles. They’re everywhere and once you unlock a special vehicle hack, you can just walk up and take one at your leisure. The hacking is generally flawless, if a little simple. It’s odd that while playing the game I thought that hacking should be a more difficult task, however, I wouldn’t think twice about performing a magic spell with the click of a button in any other game. Thankfully though, the hacking is rather simple because when you’re in a car being chased down by some of Chicago’s finest you won’t have time to muck around. Camera angles can make it a little difficult to initiate a hack when speeding through an intersection but after a couple of high speed pursuits you quickly get the hang of it and pop ups help immensely. In fact, being able to initiate vehicular counter-measures from items around the world adds not only an extra element of difficulty but also and additional, and essential, tool to your arsenal, Many of the hacking scenarios utilise cameras to activate a line of sight hack. As such, these missions become mini-puzzle games which will force you to move obstacles and change cameras to get to the intended target. These disruptions to what would otherwise be non-stop action allow for your blood pressure to take a breather. 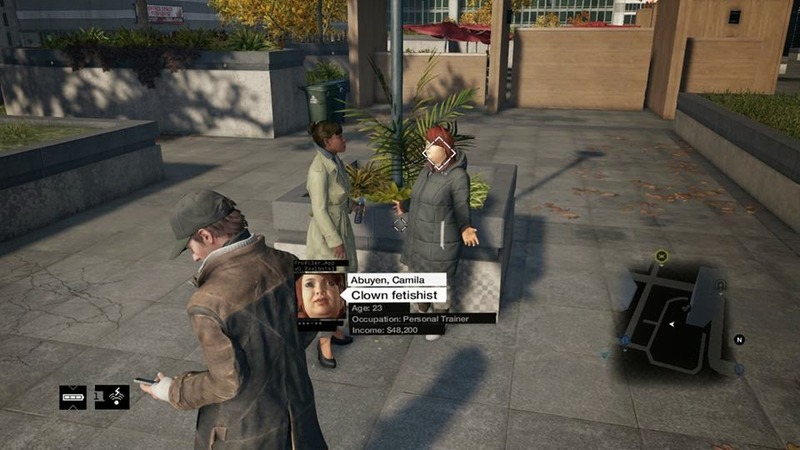 I can just about judge Watch Dogs based upon its playability alone. Over the course of my play through I found myself wanting to build the abilities of my character and explore the world by indulging in side missions and sometimes just walking around, snooping in people’s business. It’s very easy to get side tracked in this game where, instead of progressing through the story, you’ll be wondering why Carl Wilson is so terrified of dolphins or how Camila Abuyen became a clown fetishist. This is testament to how immersive Watch Dogs can be and luckily so because the main story isn’t particularly original. 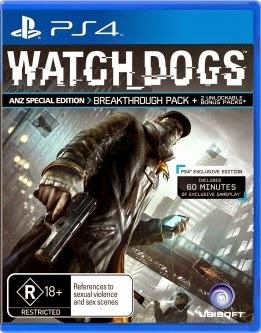 With only glimpses of the well-trodden gameplay of Assassin’s Creed to be seen, Watch Dogs is an excellent first release in a brand new IP. I can only imagine how fantastic Watch Dogs 2 will be.